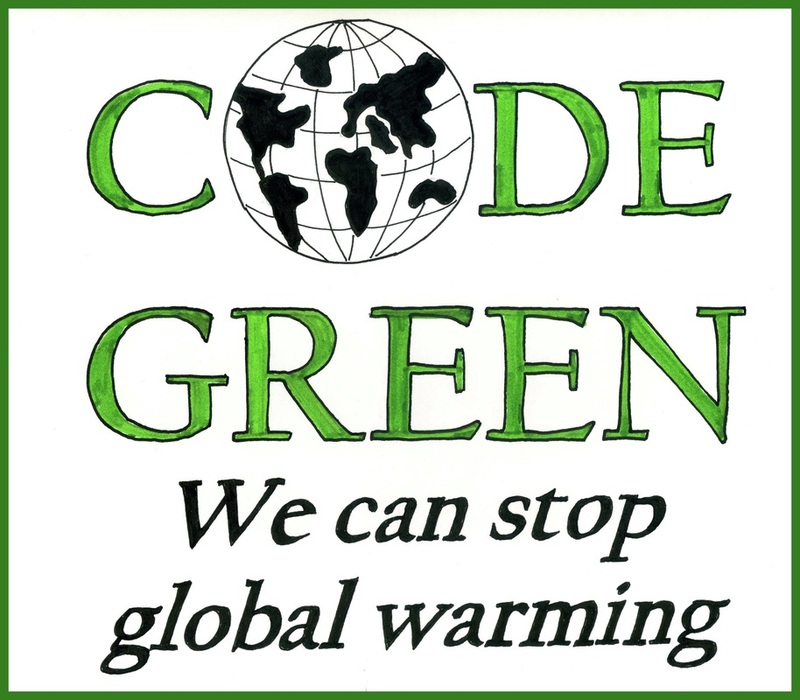 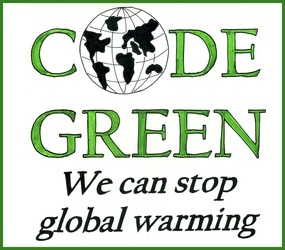 Code Green was a project that grew out of the frustration with a global warming crisis that most people seemed to be ignoring. 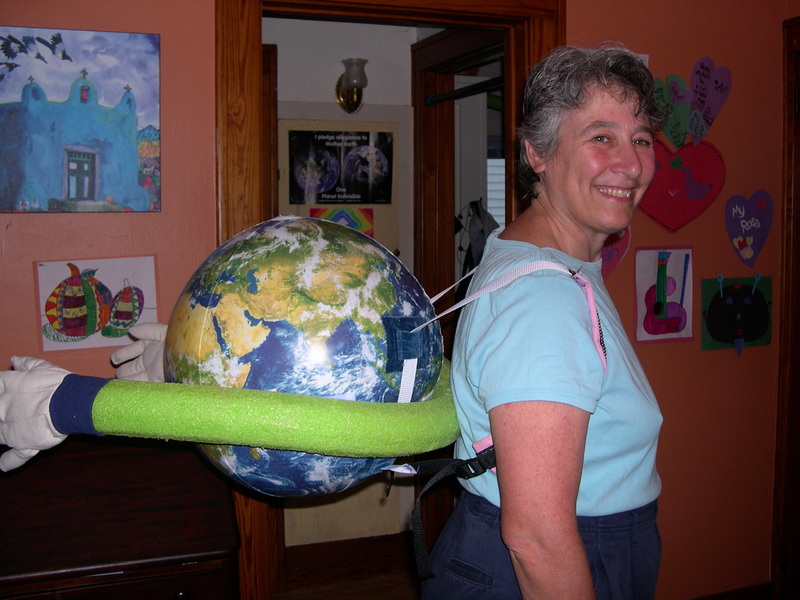 Lucy Gluck and I developed the character of Mother Earth as an earth ball with arms reaching out to invite conversation. Mother Earth was bike portable so that our street actions were carbon neutral. 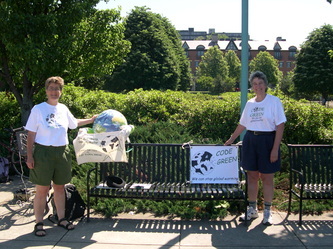 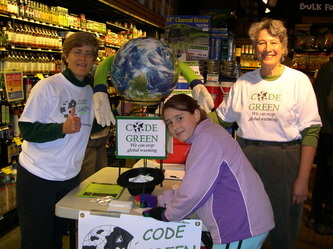 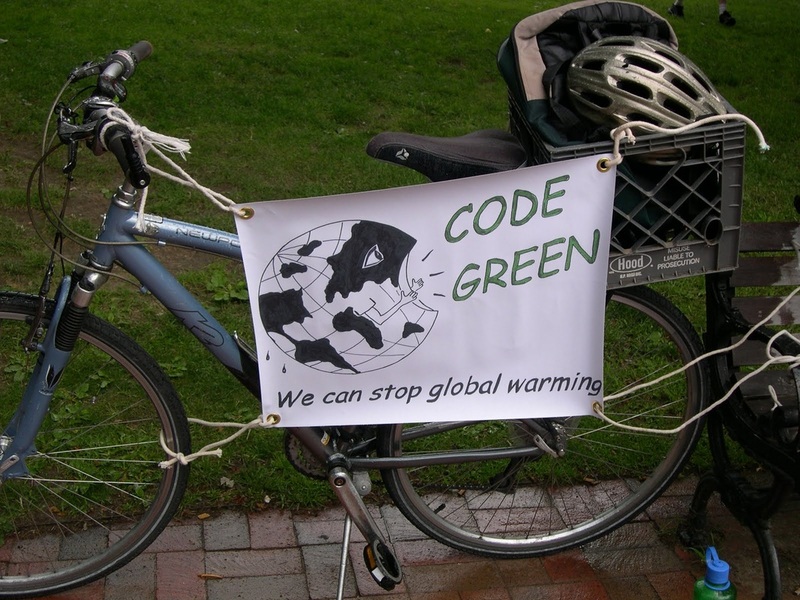 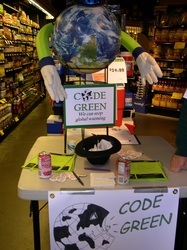 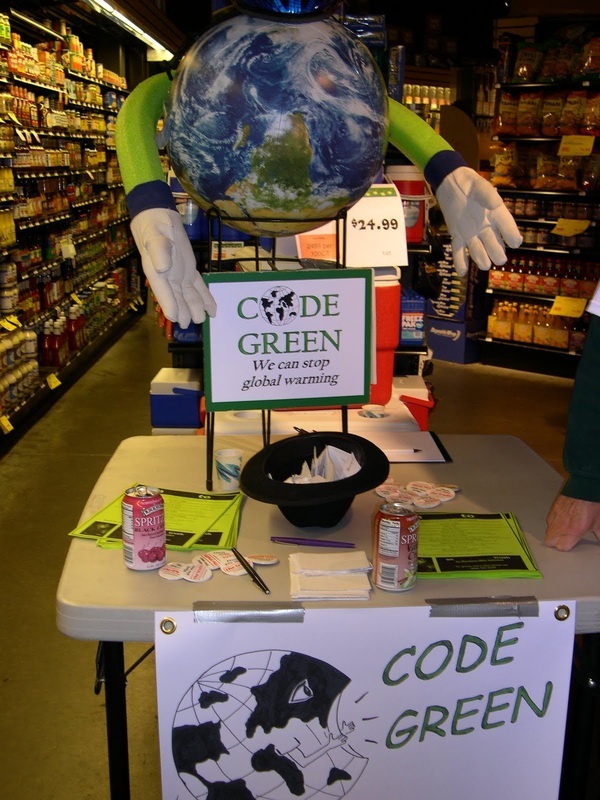 Code green showed up at our food coop and also downtown Burlington Vermont where interested passersby could engage in a conversation about climate change.